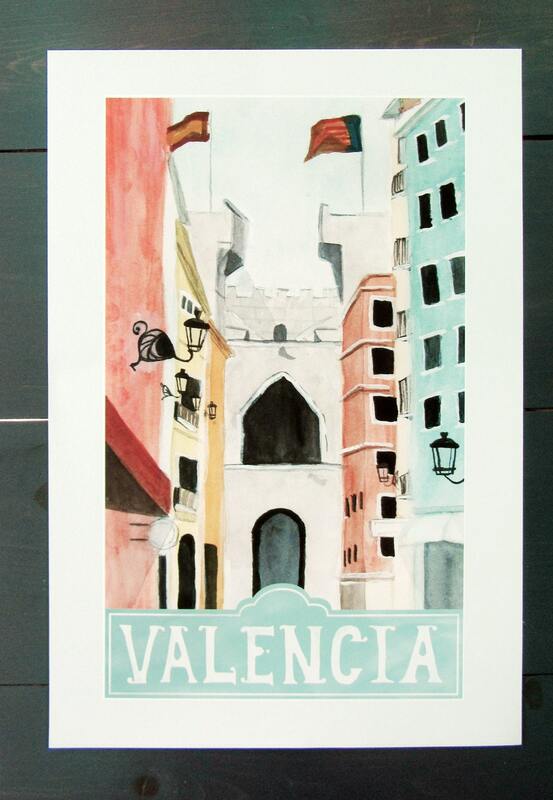 This vintage-inspired travel poster will bring a glimpse of colorful Valencia, Spain to your walls! 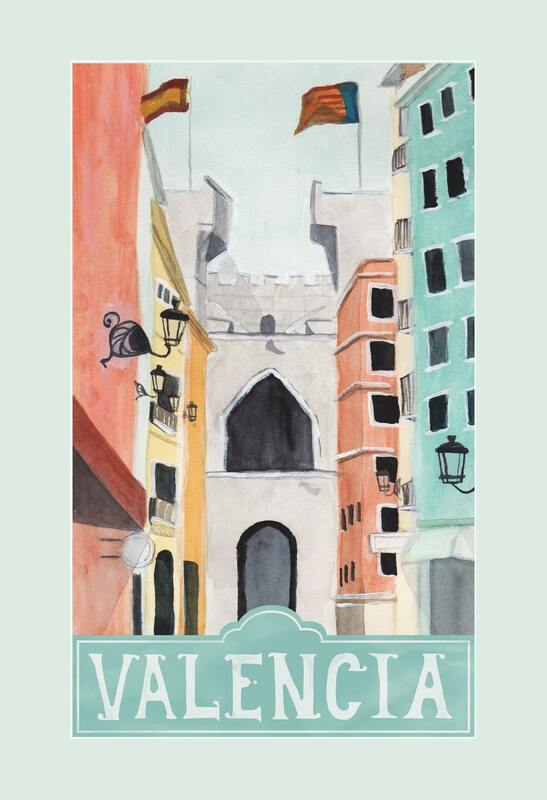 Featuring hand lettering and a watercolor travel illustration based on the streets of Valencia, with an alleyway view to one of the remaining sections of the medieval wall that once surrounded the city. 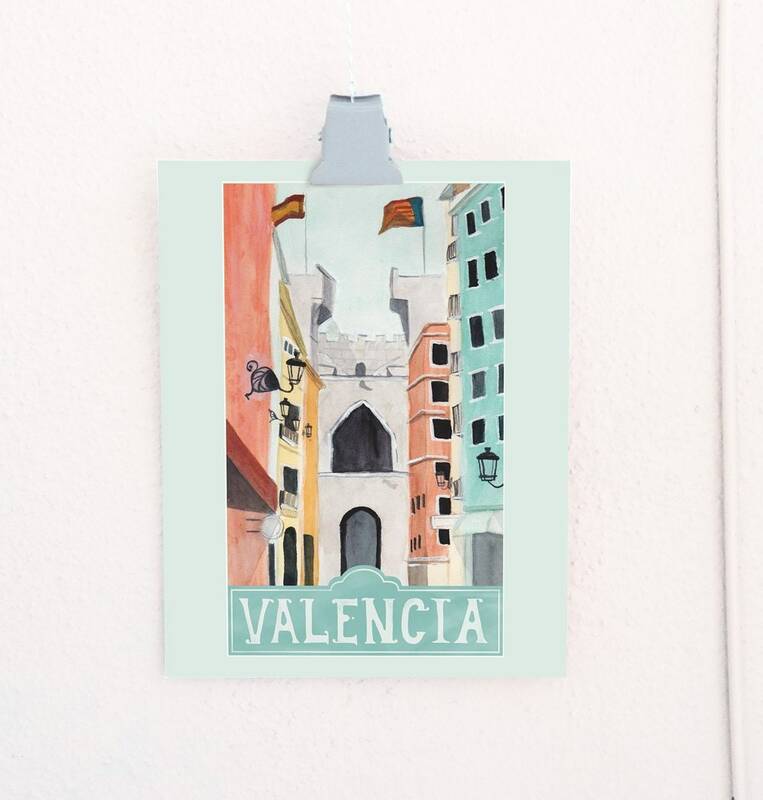 This Valencia print is the perfect piece of wall art to commemorate a summer vacation to southern Europe, or to satisfy wanderlust for a destination you have yet to visit! 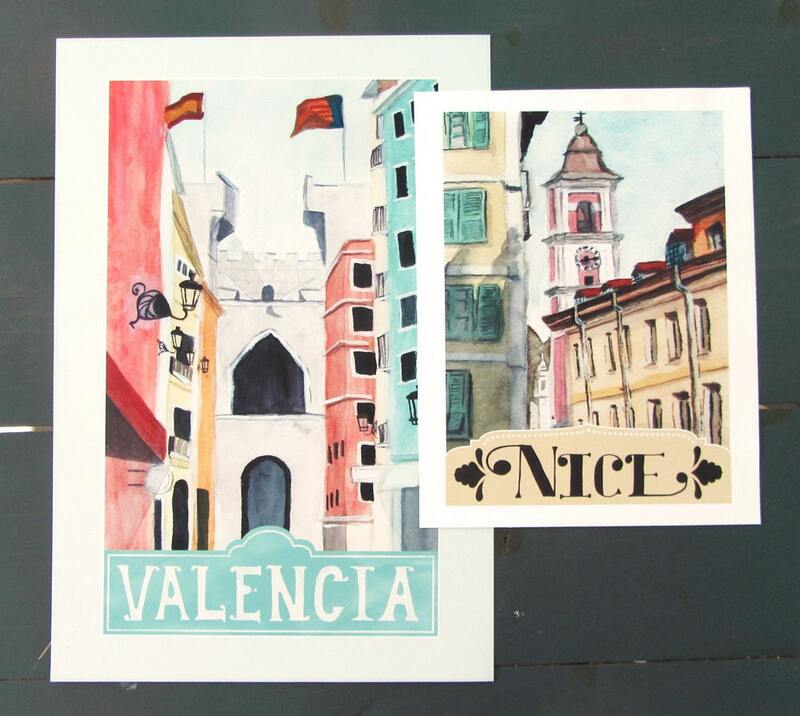 This travel poster is an art print of an original watercolor travel illustration. It is a digital print created in-house using pigment inks on acid-free paper to create a vibrant, long-lasting print that accurately represents the original travel art. it's perfect... great quality and looks fantastic framed! Beautiful work and arrived VERY fast! Very happy with my purchase - thank you! Fast shipping and beautiful work! Found this great color coordinating frame.